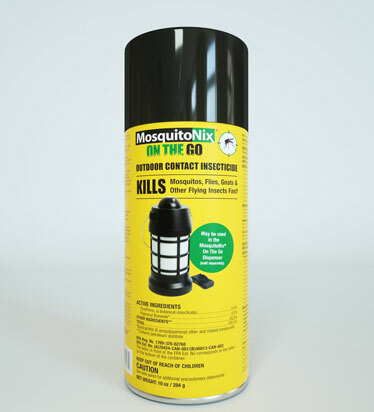 MosquitoNix Skeeter Defeater is a simple, efficient and convenient way to eliminate mosquitoes and all ther other pest insects from your environment. It consists in a portable spraying system and a botanical insecticide. Mosquito Nix Skeeter Defeater is the perfect solution for targeting and killing mosquitoes and other pest insects around your patios, decks and many other settings. 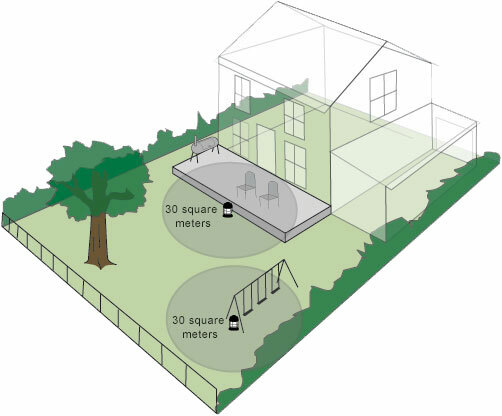 When spraying, MosauitoNix covers 360 degres and protects its user in a perimeter of 30 square meters. The Mosquito Nix Skeeter Defeater incorporates a DUSK/DAWN sensor into its unique spray technology that you can’t find in any other product. The sensor actually measures sunlight every day and knows exactly when it’s dusk and dawn. 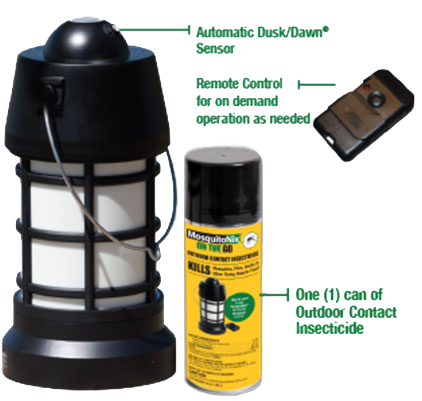 insecticide at the perfect times every day to help reduce the mosquito population in your yard.. No timers to set; no buttons to push. Just set it up in your selected area and let it go to work. Spray on-demand from indoors, up to 15 meters away! Want more frequent protection than the automatic DUSK/DAWN sensor provides? Fire off your Mosquito Nix Skeeter Defeater on demand with the remote control (included). 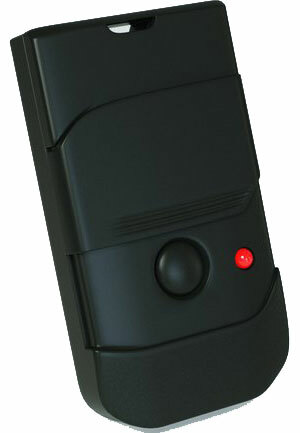 The remote works indoors and outdoors, allowing you to easily spray the selected area from a distance up to 15 meters. You can also set the Dispenser to only fire when you use the remote, just in case the DUSK/DAWN sensor isn’t your cup of tea. Unlike other insecticides, MosquitoNix Skeeter Defeater remains active in the air up to several hours after spraying until it totally disappear without leaving any residues, giving immediate results. Moreover, by spraying consistently, on a daily basis at dusk and dawn, it eliminates the population of adult mosquitoes in your environment. Less adults mean less eggs being laid. The best part? You just turn it on and let the Mosquito Nix Skeeter Defeater products do the rest of the work. You can use your Mosquito Nix Skeeter Defeater products almost anywhere you need help combatting mosquitoes and other pests. Because it’s battery-powered, you can take it for holiday, camping, and to many other settings. Installing the Dispenser is straight-forward and quick. 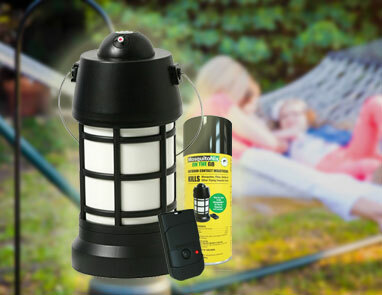 Just load the Cylinder Refill Unit into the Spray Head, insert 4 AA batteries (not included) into the battery chamber, and then hang or place your Mosquito Nix Skeeter Defeater wherever you want a mosquito-free zone. Unlike other products, you don’t have to deal with open flames, propane tanks, candles, nets, zappers, attractants or mosquito body sprays. The CRU (Cylinder Refill Unit) is made to be used in the Dispenser and can also be used as a standalone aerosol at home to protect you and your family. Learn more about the CRU here. The Skeeter Defeater® Dispenser only works when used with the Skeeter Defeater Cylinder Refill Unit (CRU). The CRU provides the spray for your Skeeter Defeater, using a botanical insecticide known as pyrethrin. 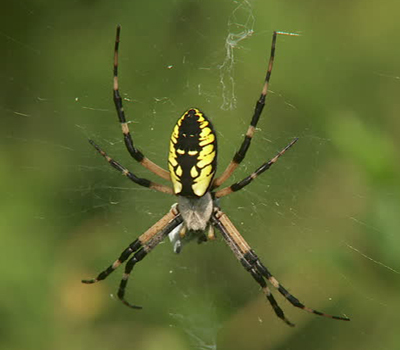 It’s long been used to fight mosquitoes and many other pest insects. 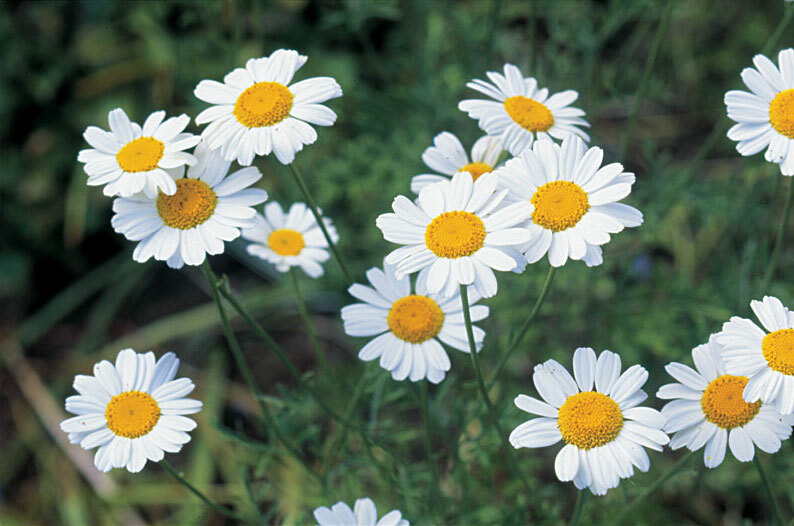 It’s botanical, and will not accumulate in the environment (depending on sunlight, it normally burns off within two hours). 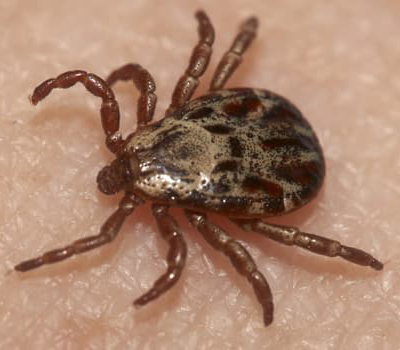 Don’t be fooled – there are synthetic forms of this extract in other products (pyrethroids, permethrin) that will accumulate in the environment. It works, killing mosquitoes on contact. Because it’s botanical, mosquitoes almost never build up a tolerance (unlike some synthetic versions). 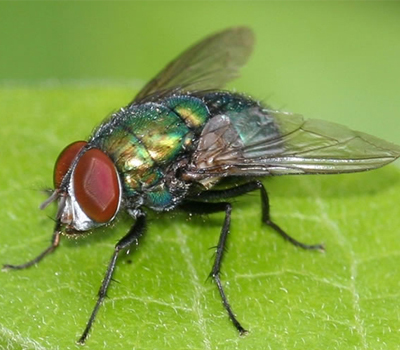 Combining an effective insecticide like pyrethrin with the unique, patent-pending delivery system of MosquitoNix Skeeter Defeater is what makes this product so clever. Each Cylinder Refill Unit (CRU) contains enough insecticide for 66 sprays. In other words, if you spray at dusk and dawn, each CRU contains 33 days worth of insecticide to kill mosquitoes. 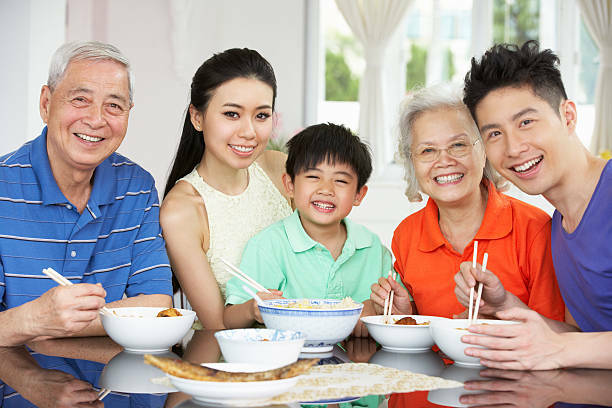 Learn more about the CRU here. The Cylinder Refill Unit (CRU) houses the mosquito-killing spray for your Mosquito Nix Skeeter Defeater Dispenser, and is sold separately. 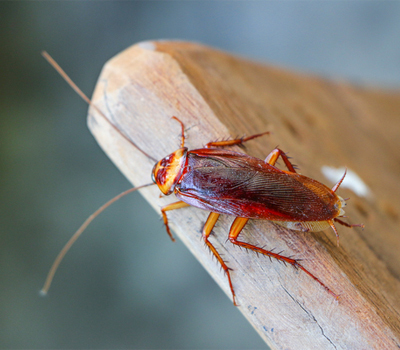 It contains pyrethrin, a botanical insecticide that kills mosquitoes on contact. The CRU is designed to work exclusively with the Mosquito Nix Skeeter Defeater Dispenser; no other insecticide containers will fit into the Spray Head of the Mosquito Nix Skeeter Defeater and work properly. The CRU comes with a spray button and can be used apart from the Dispenser to spray indoor or outdoor areas by hand. It is necessary to remove this spray button before inserting the CRU into the Dispenser. The CRU will last for approximately 66 sprays when used with the Dispenser. If you spray the Dispenser twice a day (dusk and dawn), the CRU will last 33 days. The Indicator Light will blink once every four seconds once the unit has been sprayed 54 times to notify you of the upcoming need for a replacement CRU. 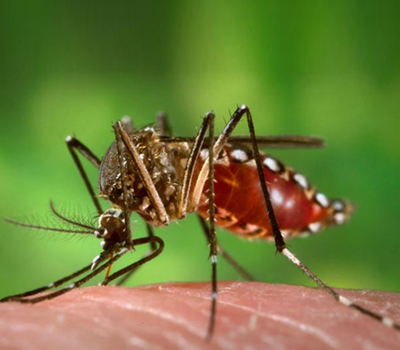 Once the batteries and CRU are installed, and the power setting is chosen, place your Mosquito Nix Skeeter Defeater Dispenser appropriately in the selected area for maximum effectiveness. When you initiate the spray sequence (either via Remote Control or DUSK/DAWN Sensor), the Indicator Light will blink increasingly faster for six seconds. The Nozzle will then spray the insecticide from the Dispenser for four seconds, and the Indicator Light will remain lit during this time. You will see the spray in the air for a short period before it disappears from site. Rest assured that the pyrethrin insecticide is still working and spreading throughout the area (even behind the Dispenser) up to 30 square meters even though you can’t see it.